10 September 2015. High Country; Sept Bloomin' News; Camp Cooking Recipes - Lamb & Beef; Crossing the Northern Simpson - Madigan Line; Bonus Book Offer; Redarc's BCDC Dual Battery Chargers; Classifieds Ad of the Week; Super Specials, Tip of the Week & more. Here's this week's ExplorOz newsletter full of great travel ideas & practical tips to help you ExplorOz better. Exceptional 4WD tracks such as those found throughout the High Country are favourites with ExplorOzers. Isn't it time you started planning your next adventure? Season opens 29th October. See full story at High Country Travel Feature. Did you know that people just like you have already contributed 96 recipes to the Recipe Collection? But we need more recipes and we want you to contribute. 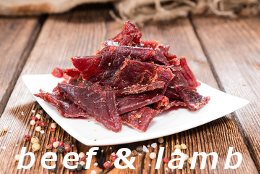 Our recipe theme for September is Beef & Lamb. All you need to do is post a recipe using these base ingredients into the Beef & Lamb section. It's super easy and best of all you will go into the monthly draw to win a great prize. This month, you could win an ExplorOz Campers Merchandise Pack valued at $42.95. This is the start of the peak wildflower season so hopefully you will all have the opportunity to take a look around and spot some native plants just coming into flower. Many Eucalypts are beginning to flower now, and with hundreds of different species there is a huge variety to see. For more info see Bell Fruited Mallee. Now a common sight in public and private gardens, Kangaroo Paws only occur in the wild in WA. Mangles kangaroo Paw is WA’s floral emblem, and like all wildflowers in that state is strictly protected against unlicensed picking or harvesting. See Red Kangaroo Paw. Wild parsnip gives a splash of colour in desert areas. The globular heads are made up of many small flowers. They are closely related to carrots and parsnips, so the large root may have been roasted and eaten by aboriginals. Seedlings are frequently seen on dunes after rain. See Wild Parsley. This 2014 DVD features a convoy of vehicles on tour with Vic Widman of Great Divide Tours experiencing an adventurous 4WD journey along the Madigan’s Line. This route is north of the regularly used tracks of the Simpson Desert and is a great visual experience to behold. All the adventure, isolation, history and desert beauty can be yours in this 120 minute DVD. Available from the ExplorOz online shop from just $18.99* (*Members Price). We currently have a fantastic bonus book offer available in the ExplorOz Shop. Simply purchase any book from publisher Boiling Billy, and you will receive a FREE copy ofOutback - The Discovery of Australia's Interior valued at $24.95! The range includes titles such as 4WD Treks Close To Melbourne, 4WD Touring South East NSW and East Gippsland, Camping Guide to South Australia, Travelling the Outback and the The High Country - 4WD and Camping Guide, and this bonus offer is available only while stock lasts, so don't miss out! The Classifieds Ad of the Week is a bonus feature that we've started including in our Weekly Newsletter. We select a current Premium Ad from the ExplorOz Classifieds (selected at random). This boosts the opportunity for that ad as our newsletter goes out to almost 50,000 of the most enthusiastic ExplorOz subscribers. Premium Ads in the Classifieds cost $29.95 (or only $10 for Members) and can run for up to 6 months. Premium ads are stacked above Display & Text ads and you can include up to 7 images to help sell your item. Members get unlimited free "Display" Ads. But did you know you can upgrade your Display Ad to Premium for just $10! REDARC’s range of BCDC in-vehicle dual battery chargers are designed, built and tested in Australia for our unique conditions to make sure they won’t let you down. On top of that there is an Australia-wide back up after-sales service to answer any questions that may arise. Coromal Corvair 604 Pop Top Tandem 20ft. Price Reduced. This is a must see - heaps of inclusions. $35,500. Our newsletter is distributed to 41,343 subscribers on a weekly basis.